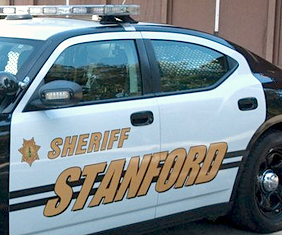 A woman at Stanford reported to police that she was sexually assaulted on campus by a man she knows. 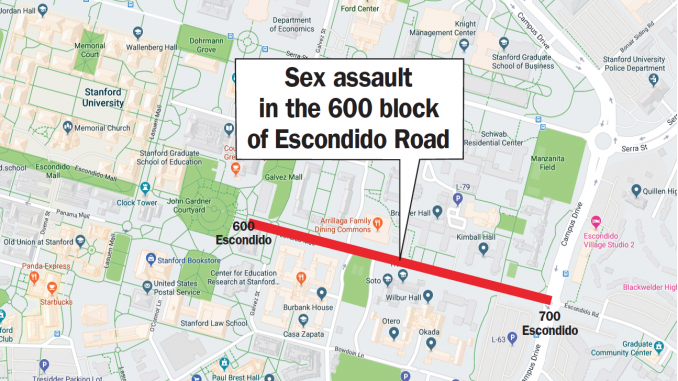 She said that at about 1 a.m. on Thursday, the man used force to restrain her and touched her breasts and buttocks despite her repeated pleas to stop, according to an alert issued by the Stanford Department of Public Safety. It happened in the 600 block of Escondido Road. 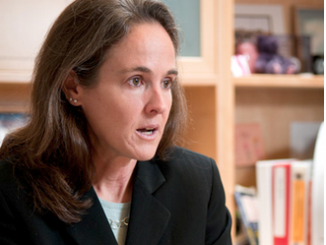 The police agency released a description of the suspect, suggesting he is apparently at large. He is described as a 21-year-old white male with a light complexion who is 6 feet tall.